Swiss Edition Water-Resistant Backpack Laptop Bag - 15.6"
Swiss Edition Travel Backpack Laptop Bag - 15.6"
Jumia has a wide collection of laptop bags, so you can choose the perfect laptop bag for you. You can find all kind of laptop cases and laptop bags with all sizes and colors you prefer. You can choose a laptop bag that is fashionable and classy for you. The laptop bag is not only protecting your laptop, but it’s a great accessory for you. You can put papers, pens, your mobile or whatever you want to take it daily alongside the laptop. Just pick your favorite laptop bag and buy it online from Jumia, the biggest online shopping mall in Egypt. There are a few tips for you before buying a laptop case. First of all, check the style you want whether is it leather or a sportive one. If you are going professional or classy you might choose the leather laptop bag, this will suit you and your needs. Also, you should choose the right dimensions for your laptop to make sure that the case fits your laptop. Make sure that the case you buy has room for everything you want to put in it. You can also check the stitches on the bag edges; is it double-stitched? this is a very important thing to have a perfect, great, and durable laptop case . Best Laptop Bags & Laptop Cases Prices via Jumia! Shop your favorite laptop bag or laptop case with Jumia, as we promise you the best price market and high-quality products. Complete your laptop accessories by buying laptop case or bag from Jumia and protect your laptop. Shop with confident at Jumia, as we promise you the most convince online shopping experience with the fastest delivery, safe payment method, door to door delivery, and the best price in the market. 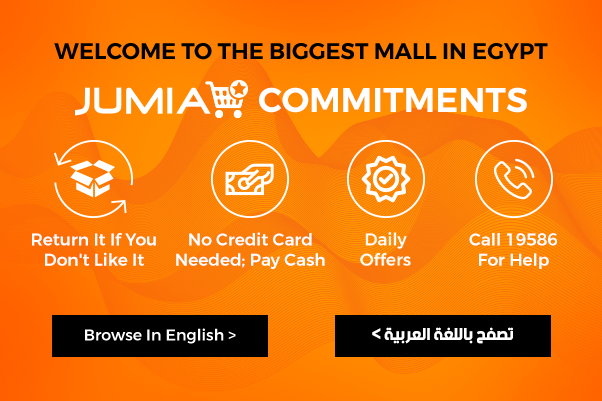 Jumia is the biggest online mall in Egypt.